No, sleeping and being on a plane are not diametrically opposed. You can do it if you know a few simple tricks. We learned a few of them in an Entrepreneur.com article on airport survival. 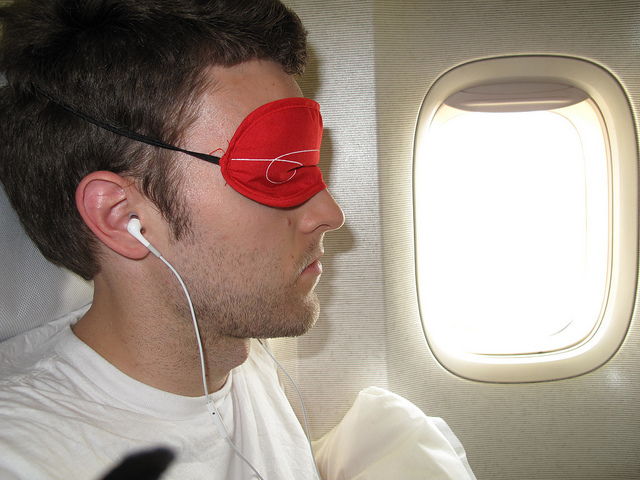 Apple In-ear headphones + Virgin eyemask = a good sleep. First, choose your side of the plane. I know this sounds a bit strange, but according to Heather Poole, a veteran flight attendant and author of the book, Attitude: Tales of Crashpads, Crew Drama, and Crazy Passengers at 35,000 Feet, it’s based on simple logic. “Get a window seat for night flights. 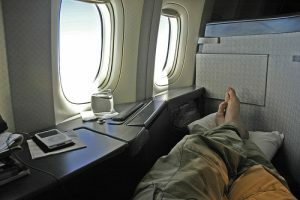 If you sleep on your right side at home go for the right side of the plane,” Poole told Entrepreneur. Next, dress comfortably. You can carry on your suit or whatever you’re wearing to your meeting in a garment bag and change into it when you arrive. Don’t even think about attempting to change into something more comfortable while in your seat. According to Poole, she has seen it all, including passengers arriving on the plane in adult footed pajamas. Talk about the walk of shame! After all the anticipation and effort, you’ve finally reached your destination. And, guess who’s there to greet you? When you travel across multiple time zones, your body’s internal clock is not in sync with the destination time zone. Thus, your daily sleep and wakefulness rhythms are out of whack, resulting in sluggishness and diminished performance. 1. Get plenty of exercise and rest prior to your flight, while maintaining a nutritious diet. Plus, make sure you’re well hydrated. The healthier you are, the less jet lag will affect you. West – Just prior to your departure, get up one hour later and go to bed one hour later for as many days as time zones you’ll be crossing. Granted, this may not be possible for long trips such as international travel. East – Use the opposite technique – Getting up one hour earlier and going to bed one hour earlier. West – Avoid sunlight in the morning, and get it in the late afternoon and evening. East – Get sunlight in the morning, and avoid light in the evening as much as possible. If it’s overcast, simulate the sun’s effects with a light therapy box. Wear sunglasses if you have to be in sunlight when you should avoid it. Drink plenty of water, while avoiding large meals, alcohol and caffeine. Move around the cabin regularly to promote circulation in both the body and brain. Sleep, if possible. If you have difficulty sleeping on flights, consider taking a sleep aid (though we recommend consulting your physician first). Avoid critical decision-making in the first day (if at all possible). Adapt to the local schedule immediately, eating meals and going to bed at the appropriate times . Get as much sunlight as you can. None of us has time for jet lag. But, if you take to time to properly prepare, jet lag’s time is up. Are you one of the many of long distance fliers who has trouble sleeping on planes? Your seatmate is out like a light before the plane even takes off, while you sit wide awake hour after hour. So, what do you do? 1. Get plenty of exercise and rest prior to your flight and maintain a nutritious diet. The healthier you feel, the better you’ll be able to sleep. 2. If you have difficulty sleeping on flights, consider taking a sleep aid (though we recommend consulting your physician first). Move around the cabin periodically to promote circulation in both the body and brain. 4. If you can’t sleep, sit quietly with your eyes closed. While you won’t get the all the benefits of a good night’s sleep, you will be somewhat rested. Inflatable Lower Back Support Pillow – Supports the lumbar region, reducing discomfort. Inflatable Neck Pillow – Supports the neck, easing fatigue. Ear Plugs With Carry Case – Reduce surrounding noise for a more restful sleep. Eye Shade And Ear Plugs – For a light and sound-free rest. Inflatable Velour Neck Pillow & Eye Shades – Super-soft pillow supports head while eye shades reduce light. Pressure-Less Earplanes – These specially designed ear plugs relieve air pressure during take-offs and landing, which can lead to sleeplessness. 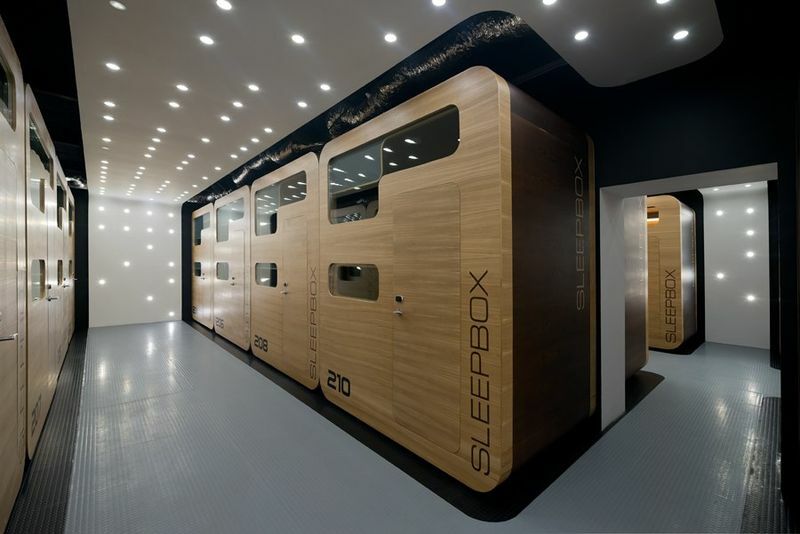 Whether you’re traveling on business or for pleasure, you don’t want to be groggy when you reach your destination. 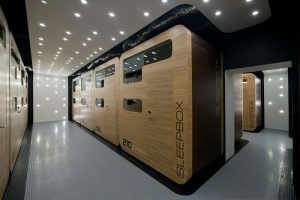 With a little planning and common sense, you can arrive well rested.